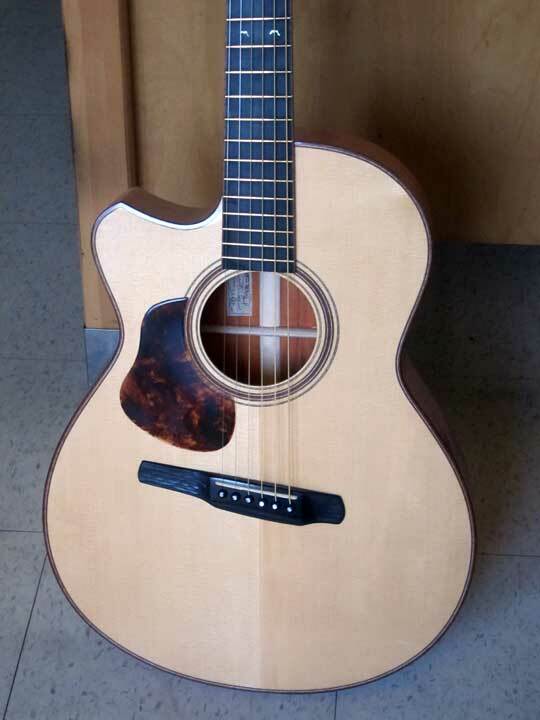 I currently view this model as my signature piece, and I play a very similar guitar myself. This Left handed one was made for Brad O'Neal, and features Pernambuco back and sides paired with a Swiss "moon spruce" top. 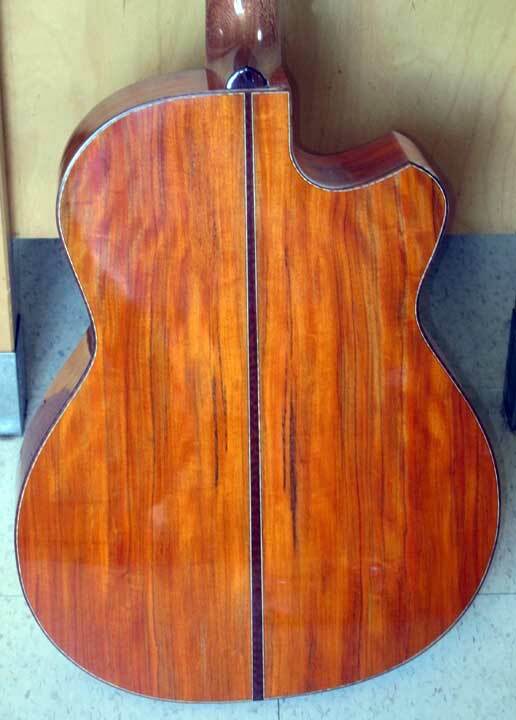 It is fully asymmetical including the fret scales, which are 24 7/8" on the high e, and 25 3/8" on the low E. The binding is Snakewood, and the head plates are Madagascar Rosewood. 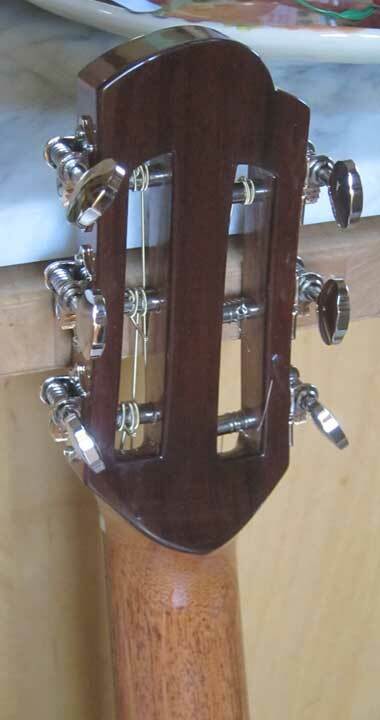 The bridge and fingerboard are African Ebony. The tuners are Waverly nickel and the guitar was supplied in a Hoffee Carbon Fiber Case.